A simple Necklace with a multi-link fine chain and a small cross Pendant. 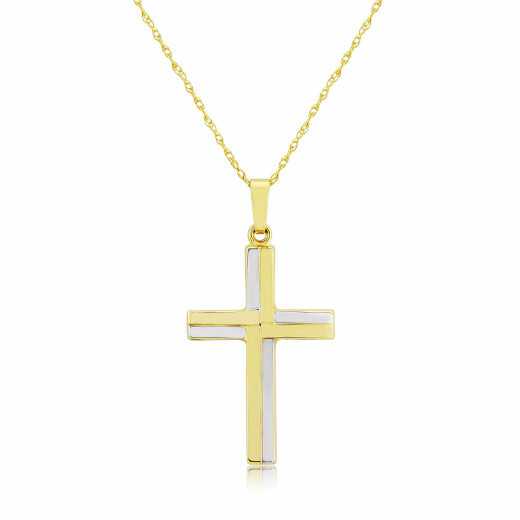 The cross is designed with alternating Yellow and White Gold sections. A symbolic and meaningful piece with a little design twist. A perfect gift for birthdays, Baptisms and other spiritual landmarks.